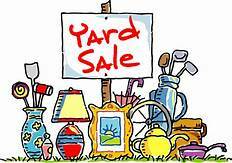 Jacks and Jills Yard Sale Planning Meeting Tues. 5/29, 1 p.m. The annual Timber Valley Park Yard Sale is Saturday, June 2, the day of the Sutherlin City Yard Sale. We only have this week to get it all organized. Please attend the open planning meeting on Tueday, May 29 at 1 p.m. in the Clubhouse. If you want to help, but can’t attend the meeting, please call Julianne Crane at (509) 869-8679. This entry was posted in Events, Life at Timber Valley, News and tagged Jacks and Jills. Bookmark the permalink.